Merion Mercy mourns the passing of Ellen Ryan '58. Her classmate Mary Ann Dugan Leeper '58 shared, "We will miss her very much...she's been a key link in our staying together over the years." "She was a loyal alumna and loved all things 'Mercy,'" said Alumnae Relations Coordinator Barbara Colantuono Harrison '82. "She and her sisters (and many nieces and cousins) rarely missed a reunion, and it was always a pleasure to see them together–generations of strong MMA alums." Ellen's trailblazing nature emerged early on in her MMA days. She was a three-sport athlete who earned many distinctions, including recognition as a three-time World Basketball Athletic Association All-American. Yet, her character, goodness, and caring nature also left an indelible mark on all those she knew in her school days. She is described in the yearbook from her senior year as "a splash of laughter." The yearbook goes on to say that "Ellen's mobile mouth and eyes lend lightness to our lessons, send music to a memory..." She clearly brought brightness and energy to her school friends. After MMA, Ellen continued to shine as an athlete, coach, and administrator. Miss Ryan was a well-known leader in women's sports for more than 50 years, spending most of her career at Saint Joseph's University. She started out at Saint Joseph's in 1973 as head coach of the school's first intercollegiate women's basketball team. She soon took on the job of Coordinator of Women's Athletics before being named Assistant Athletic Director in 1981. After 21 years in that job, she became the Associate Athletic Director for Women's Varsity Sports. Ever the "Mercy girl," she always went above and beyond, exceeding expectation with a smile. With Miss Ryan's guidance, Saint Joseph's University's women's athletics program grew from three teams in the early 1970s to its current slate of 10 varsity sports teams. Under her tenure, the university's women's teams captured six Atlantic 10 Conference titles and earned a total of 2,091 victories. "She knew how to get things done and get them done correctly and with class," said her brother, Thomas F. Ryan. "She was the perfect one to get women's sports off the ground." In 1999, Saint Joseph's honored Miss Ryan as a member of the inaugural class of the school's Athletics Hall of Fame. She was inducted into the Big 5 Hall of Fame in 2003 and the Saint Joseph's Women's Basketball Hall of Fame in 1983. In 2011, the year Miss Ryan retired, Saint Joseph's christened the field hockey team's new turf-covered playing surface as the Ellen Ryan Field. "Several Merion graduates went on to play on (and coach for) SJU field hockey," shared MMA Athletic Director Barbara Clarke. 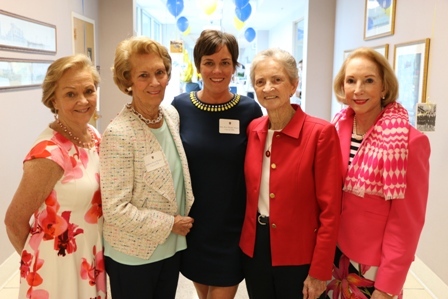 "Her hard work, talent, and tradition of excellence has inspired generations of Merion Mercy women–it is something special for them to play on a field named after a fellow MMA graduate." While her many contributions and professional legacy live on, one of her MMA alum nieces provided some personal insight too, Kristin Ryan '99, wrote, "Athletics were a huge part of Ellen's life, but nothing compared to her love and devotion to her family. She had an unbreakable bond with her siblings and loved watching her nieces and nephews, and then her great nieces and nephews, play and grow. There is emptiness in our family without her, and, while our hearts are hurting, they are full from the love she gave us throughout all of our lives. If I am able to leave an impact on this world that is a fraction of what she has had on us, it will be an accomplishment."